CORVALLIS – It wasn’t surprising for me to read of the predicament Kate Willson, the student media advisor at OSU, finds herself. The university has long stymied efforts to fully utilize the assets it holds. In the late 1980s there were many interested in boosting the reach of KBVR FM through more community involvement, but it was thwarted by a long term advisor with no vision, wanting to maintain her comfortable position. Fast forward to 2001, post internet bubble. With a focus on entrepreneurship and business incubators, OSU resurrected parts of the journalism department by recruiting Joel Thierstein from Baylor University to run its New Media Department. There were grand plans to leverage new technologies and business. Though well received by students, he ran up against similar resistance to expand the media presence at OSU. He was awkwardly removed after just a few years in 2006. OSU cited “budget constraints,” though students and potential donors were confused. As many people have passed through various positions of management, it is hard to pin the faults on any one person. But, there is considerable institutional apathy connected with a much more sinister lack of accountability, especially when leaders are challenged on even the most fundamental levels of fairness and equity or when being asked for more transparency. The legal advice and supervision Willson received from OSU sounds remarkably similar to stories I’ve heard from employees whose grievances weave their way up to the Equal Opportunity or Ombudsman’s offices. The message repeatedly given is to protect the university over the wrongs of tenured bullies or simply those whose inaction contributed to an unhealthy work environment. Those in the know, both inside and outside the university acknowledge off the record that OSU regularly hemorrhages women and minorities on a regular basis. Some of these people have been recruited to OSU only to run into people in positions of authority who cling to power and create road blocks to innovation, creativity and institutional change. From knowing personally the competency of the individuals involved in some situations, it doesn’t appear to be overt racisms or gender insensitivity. Rather the issue is an institutional rut due in part to fear of liability that renders it in effective at best, and ends careers at worst. A second issue is that many management positions appear contingent on the person holding a PhD. This doesn’t make anyone a good manager of people; rather it’s a prayer that they can do that as well. And so, you often have people well outside of their discipline, managing people who conduct complex research. This enables a form of blind trust in established, if dated, experts that leads to management inertia when it comes to addressing inclusion or incompetent management or accepting new ideas from strong candidates with experience outside of academia. So here we are in 2013. OSU hires a dynamite investigative reporter with real life experience as their student media advisor. She makes a records request that is reasonable regardless of who makes it, and is directly in line with the subject matter she was hired to advise students on. This is why you hire experts; to excite and engage students! And OSU’s response? One of fear and reaction via a draconian response on a ticky-tack interpretation of procedure that if let to go unchecked will continue to stifle creativity, initiative and information. Why else would OSU fight the release of the information, unless it fears how the information will look when exposed to the light. It has been reported that the Gazette-Times and Barometer have now filed similar freedom of information act requests. Let’s hope they don’t drop the ball on this. OSU is an institution badly in need of more transparency and accountability on just about every level. Regarding the situation with Kate Willson the student media advisor at Oregon State University, it is important to note there has been a long history of mismanagement and a lack of vision to fully utilize the assets it holds in KBVR FM and TV and the Barometer. At one time, OSU had a well-respected journalism department with Fred Zwahlen and James Folts teaching popular courses, and graduates such as Chris Johns, editor-in-chief of National Geographic and Chris Anderson who, in 1980 became the youngest editor of a metropolitan newspaper in America for the Orange County Register and is now the publisher of the Oregonian. However, there were always clashes between students and management about the roles of KBVR TV and Radio. In the 1980s, KBVR FM was one of the top college stations in the nation, yet the programming that made it so was abandoned by unimaginative administrators who did not understand the role of college stations in the music industry. There was little vision in attempting to enlarge the audience by increasing its range or engaging the community to keep them on the air during summers and off-peak hours. There are many successful college radio stations creating visibility and partnership with the local community. But one advisor was adamantly against it and remained in her comfortable position for years, while the station would cycle through preventable ups and downs. 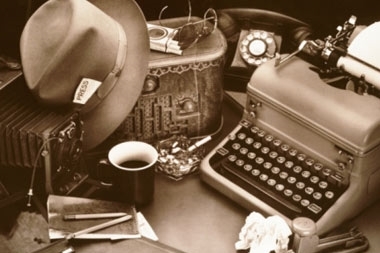 In 1989 OSU reorganized it Journalism Department and brought in Pulitzer Prize winning journalist Jon Franklin to run the department with a focus on science writing. That was short lived as the department was shuttered within a year due to budget constraints. In 2001 OSU recruited Joel Thierstein from Baylor University to run its New Media Department. There were grand plans to leverage new technologies and old media. In March of 2006 it was going well. Yet he ran up against similar resistance to leverage this legacy media. He was oddly reassigned six months later in September 2006. OSU cited “budget constraints,” though students and potential donors were confused. In March 2007 the program was still seeking an identity. In 2013 it seems like the same old song. OSU again makes an outside hire of someone with impressive real life experience in their field. (Check out Willson’s bio at The Center for Public Integrity.) She goes out to work on projects within her scope, and files a records request in preparation, just as she’s done in professional life, and gets smacked on the wrist for doing so. This is another perfect example of how academia lives in a separate bubble from the rest of the world. You hire an expert to teach, and then call her out on a technicality. I can’t think of reason why an issue would come to this, unless there is something to hide. Can you think of anything more ironic than to hire someone away from the Center for Public Integrity, and then have an institution respond with such a lack of integrity? Did your article get printed by the local media? This entry was posted on December 31, 2013 by A.J. Simonsen in Corvallis and tagged Barometer, Chris Johns, corvallis, Fred Zwahlen, Joel Thierstein, Jon Franklin, journalism, Kate Willson, KBVR, New Media, Oregon State University, OSU.